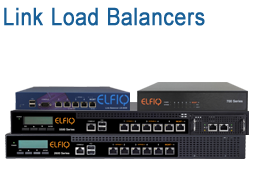 The Elfiq Link Balancer product line enables organizations of all sizes to utilize and manage multiple concurrent Internet Service Providers and private WAN links simply and securely to ensure business continuity, balance the traffic load to meet and exceed their bandwidth needs for local our cloud needs. With today's growing Internet demands, Elfiq Networks enhances network performance and business continuity through innovative link balancing, cloud computing and bandwidth management technologies. Using Elfiq Networks Link Balancers, companies can leverage simultaneous ISPs, mix public and private links for added flexibility, seamless failover, increased throughput and smarter WAN path selection. The Elfiq LB-800E Link Balancer enables the use of any ISP link including low-cost circuits such as DSL and cable modems and the use of wireless links like 3G mobile access and WiMAX as well for efficent link balancing. The Elfiq LBX-700 Link Balancer brings enterprise-level performance and features to small and medium businesses to proactively enable link load balancing across multiple ISP links for business continuity. The Elfiq LBX-900 Link Balancer brings enterprise-level performance and features to small businesses around the world to proactively enable link load balancing across multiple ISP links for business continuity. The Elfiq LB-2500E Link Balancer is designed to meet and exceed the needs for proactive and affordable bandwidth management of organizations which need maximum uptime and performance for business continuity while proposing a financially-sensible solution. The Elfiq LBX-2600 Link Balancer is designed to meet and exceed the needs for proactive and affordable bandwidth management of organizations which need maximum uptime and performance for business continuity while proposing a financially-sensible solution. The Elfiq LBX-5500 Link Balancer is designed to meet and exceed the needs for proactive bandwidth management of organizations and datacenters which need maximum uptime, performance and failover for business continuity. Elfiq AppOptimizer is an add-on module for the award-winning Elfiq Link Balancer product family which provides application-layer deep packer inspection (Layer-7), classification and control including Mobile, Social Networking, P2P, Instant Messaging, File sharing, Enterprise and Web 2.0 applications. Cloud computing's Achilles' heel: connectivity - learn how to resolve this critical issue. Elfiq Networks' Link Balancers are the only units on the market equiped with a LAN Failsafe feature (bypass) which enables the primary link and the gateway device (firewall) to continue operating if the Elfiq looses power. 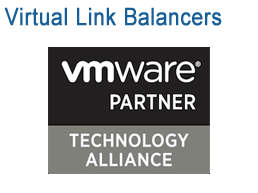 This webcast outlines an introduction on how to handle the two principal Internet connectivity issues: availablity and saturation. Our specialists are expert in designing data center solutions and can help you create a plan for sourcing and deploying your Elfiq solution. 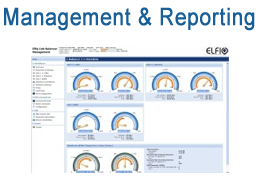 Optrics offers personalized Elfiq product training - a service designed to help you integrate your Elfiq solution smoothly into your network infrastructure.